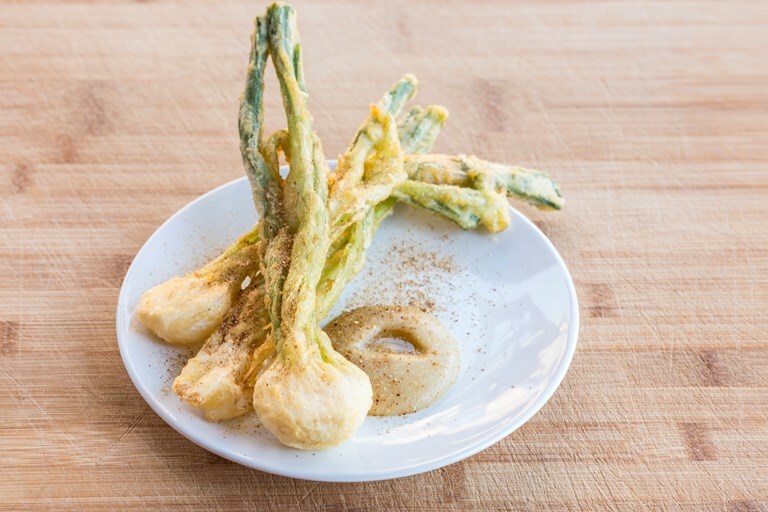 This glorious tempura spring onion recipe is served with a rich onion purée and powder made from dried onions, which creates an incredibly intense seasoning for the dish. Rather than use a dehydrator, head chef at Root Rob Howell, who devised this recipe, uses their kitchen's plate warmers to get the onions super crispy for the powder. If you'd rather give the powder a miss, the crisp, sweet spring onions and onion purée are more than delicious enough on their own to make a stunning vegan starter.